Feels much deeper than "Curse of Osiris." 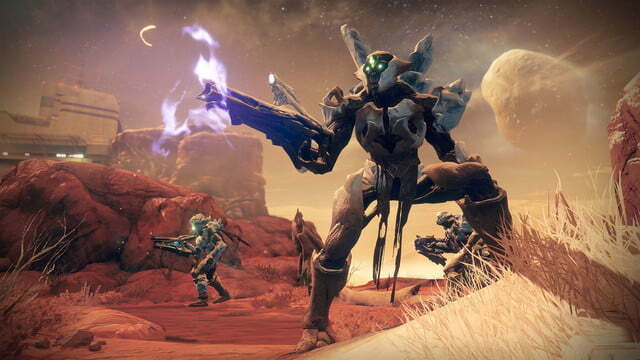 Developer Bungie’s plan for its Destiny series was always to create a “forever game,” a massively multiplayer online shooter with content that keeps players gunning down aliens across the universe in perpetuity. 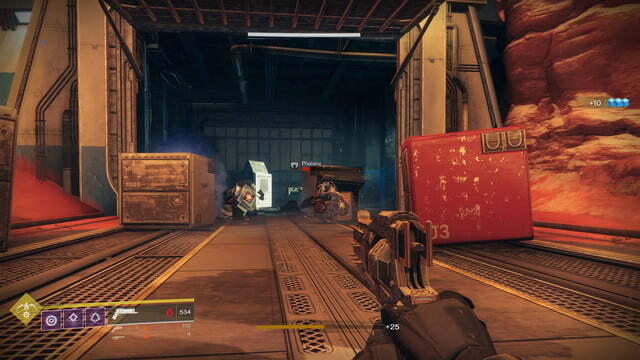 With the release of Destiny 2’s second expansion, Warmind, that dream seems to have left players doomed to play a never-ending loop of first-person shooting. 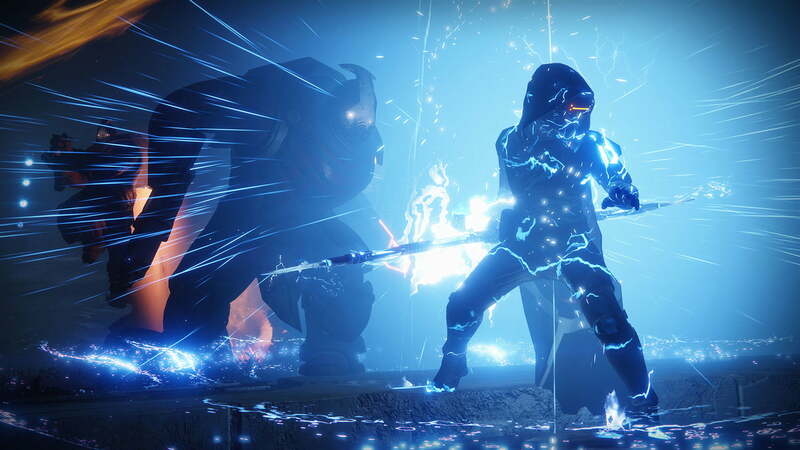 Warmind is the second of two small, $20 add-ons covered in Destiny 2‘s initial post-release “Expansion Pass,” which offered players additional Destiny stories throughout the game’s first year. 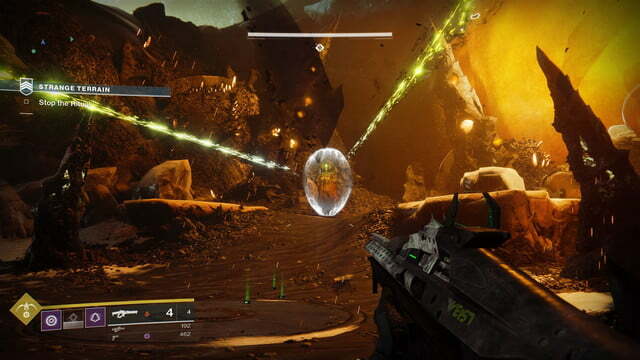 It is an improvement over D2’s claustrophobically small first expansion, Curse of Osiris, but Warmind can’t help but make a Destiny 2 player wonder if we’ve seen all the tricks up Bungie’s sleeve. It’s nice to have a new place to explore and new guns to find, but reskinned enemies, lackluster storytelling, and repetitive content are starting to wear out their welcome. It should be noted that, relative to Curse of Osiris, everything about Warmind is an improvement, starting with its story. 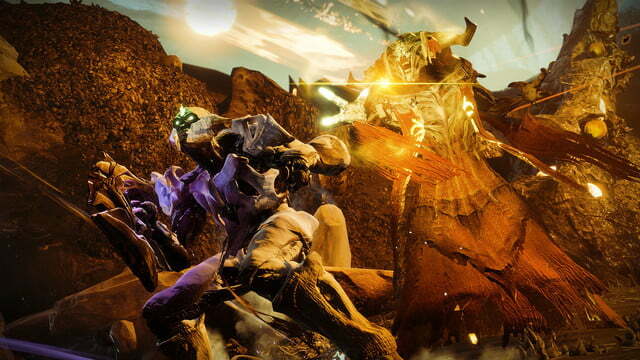 Both expansions revolve around characters who have shown up in Destiny lore, for those who have bothered to read it. This one is about Ana Bray, a Guardian character who, back before the “Collapse” that ruined Earth and brought evil aliens to the solar system, was a member of a brilliant, super-rich family of industrialists attempting to spread humanity to the cosmos. Players have seen the logo of their company, Clovis Bray, stenciled on buildings and discussed in lore for the last few years, and now Warmind gives you a face to go with the name. Following the events of Destiny 2’s primary campaign, Ana discovers a giant science facility on Mars that houses the core of Rasputin, an extremely powerful artificial intelligence that was once in charge of the defense of the entire solar system. Again, for the Destiny 2 faithful, Rasputin is a familiar name. 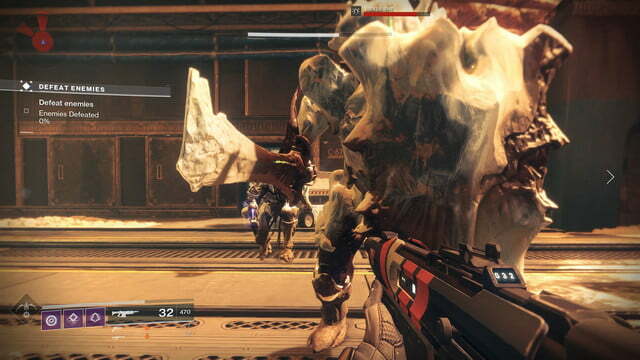 Players have crossed paths with before, and it has never been clear whether the “Warmind” computer is fully friend or foe. Of course, the unthawing of the glacier also unearths a new faction of the zombie-esque alien faction called the Hive, so now you have to stop them from destroying the solar system. 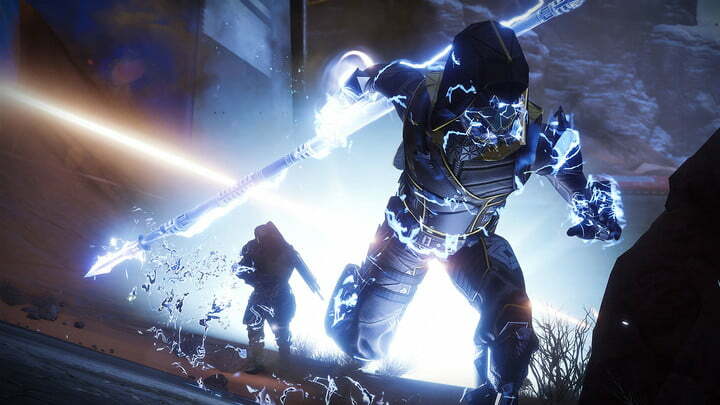 It all sounds like a potent mix for a fan-friendly story, but the Destiny games have never been particularly concerned with telling a cogent tale in a cogent way, and all the interesting ideas of Warmind pretty much vanish in a hail of bullets. Despite laying out so many tasty tidbits for those devoted to the series’ lore, Warmind presents all the ingredients, then chooses to ignore them. 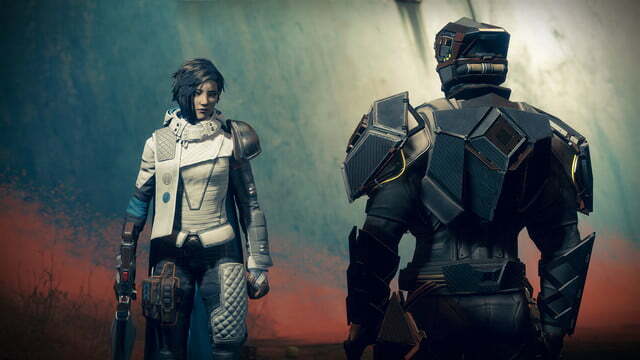 For the most part, Ana’s desire to find out about her past and Rasputin’s self-awareness and possible agenda are glossed over: They are a loose glue that holds together Warmind’s many shootouts. 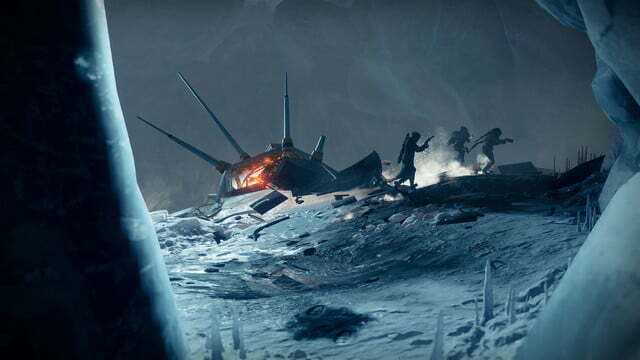 Warmind does, however, provide good excuses to direct players to explore new locations and scour for new stuff. The icy version of Mars in Warmind is a great deal more interesting than the small, repetitive slice of Mercury in Curse of Osiris. 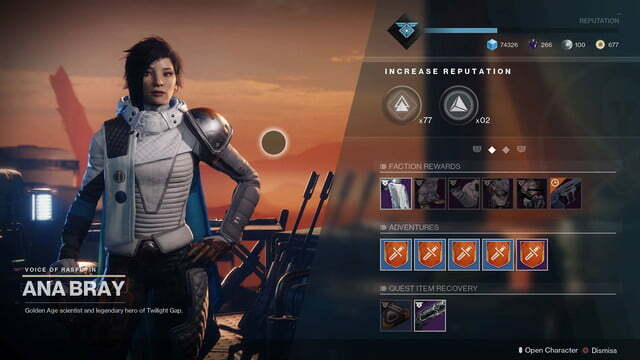 Once you’ve completed the story, Warmind opens up, offering some fun quests that will send you off exploring, spurred on by the promise of every Destiny 2 fan’s favorite treasure, new and very fancy guns. 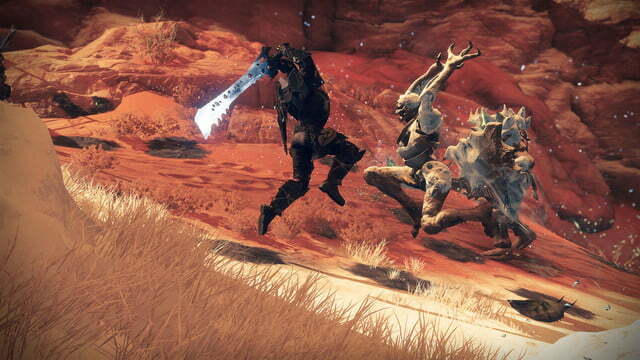 There seem to be secrets scattered everywhere, which is good — Destiny is at its best when it’s surprising players and sending them off to find weird things – but most of these quests boil down to lengthy, grindy quests. For example, spread across the planet are 45 “nodes” — floating diamond-shaped treasure chests that players can only open after completing activities and gathering the right items. Your mileage will vary based on how much you like completing goals like shooting 100 enemies in the head or completing five Heroic Strikes. 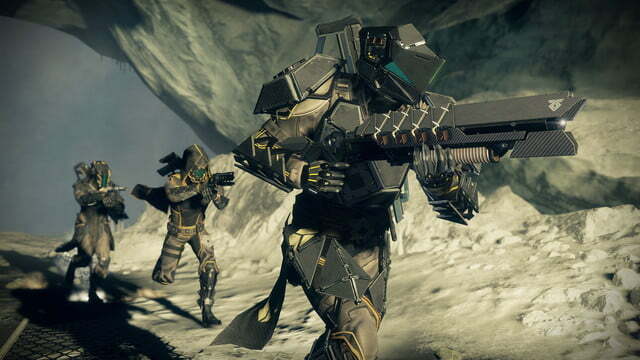 The single biggest content addition on Mars, besides the story and new guns, is the “Escalation Protocol,” a button anybody can push that kicks off a horde mode-like public battle against wave after wave of frozen Hive bad guys. Fun quests that will send you exploring, in search of Destiny 2 fan’s favorite treasure: new and very fancy guns. It’s tough, which is good because it gives veteran players room to improve, and serves as a nice change of pace from the public events Destiny 2 has scattered around its many planets to date. The high points of Warmind, the things that will keep players checking in for at least a couple of weeks, are its little quality of life improvements. 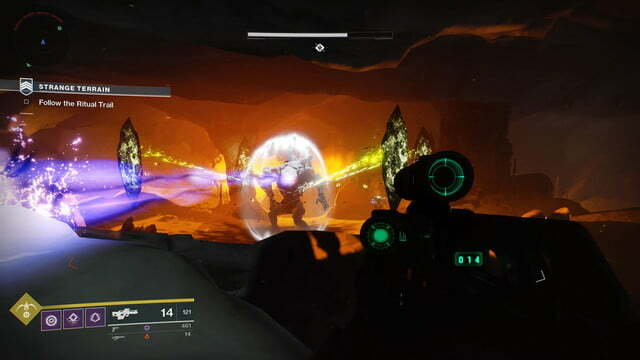 Exotic weapons, the best of the best, have been tweaked to feel more special and powerful, adding “Masterwork” upgrades to make them more powerful in unique ways. The game’s competitive arena, the Crucible has been split up into two versions, Quickplay and Competitive, both of which rank you in different ways to provide either a more casual or more stringent experience. Scoring additions to Nightfall Strikes, some of the most difficult missions in the game, come with new rewards that provide a new target for long-term, returning players. All told, these changes make Destiny 2 work a little better, and should make the game more rewarding over time. Those improvements are all small potatoes, though. For everything it does well, Warmind falls into the trap that Destiny 2 and Curse of Osiris built for it: Everything in Destiny 2 is made to be endlessly replayable, and the result is that most of the game feels very repetitive. Like Curse of Osiris, Warmind recycles story missions you’ll play alone as “Strikes,” repeatable co-op challenge missions you’ll run with other players. It adds new public events, but they are very similar to the ones players have been working through week after week since last September. 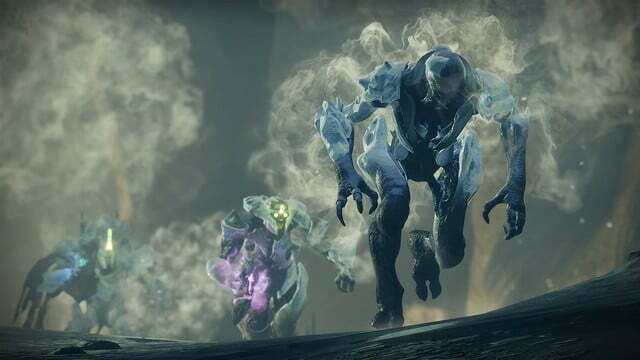 Its enemies are largely the same old aliens — there is one new hive enemy type, a sniper — but with a fresh coat of ice that shatters when they die. 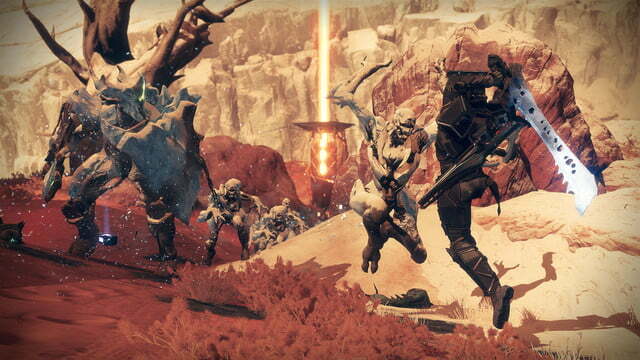 Bungie continues to tweak and improve the experience, but progress is slow. While more timed events like the holiday “Dawning” event, Iron Banner, and Faction Rallies give you a reason to log in, Warmind shows a struggle on Bungie’s part to really keep Destiny 2 fresh enough to warrant hanging around. 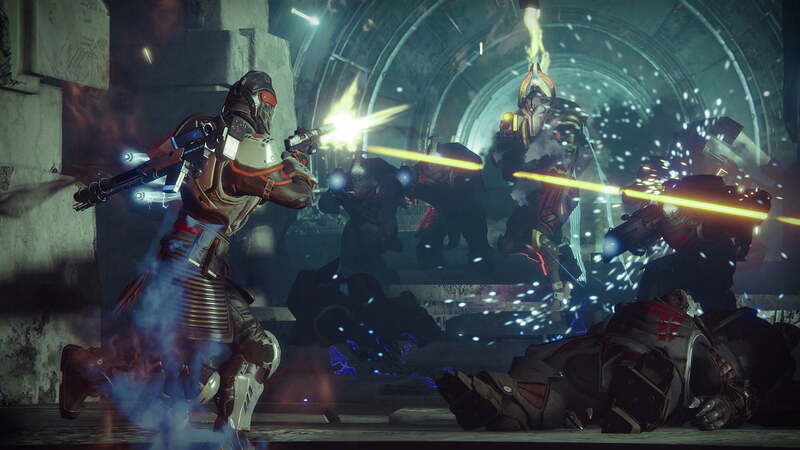 Destiny 2 remains a highly polished shooter that can be fun to pick up with friends, and Warmind will keep fans busy for few days, maybe even weeks. 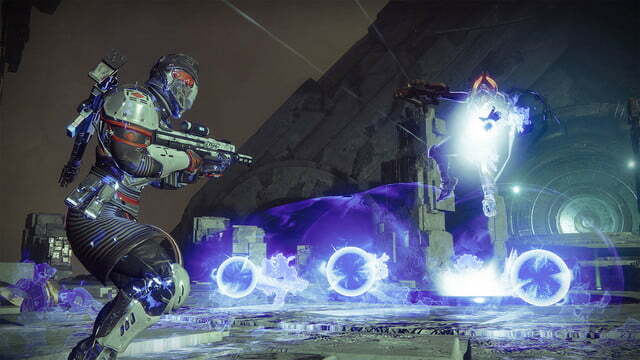 Moreover, the “Raid Lair” — a high-level mission for dedicated players — may inject even new, interesting challenges into the expansion the weekend after launch. 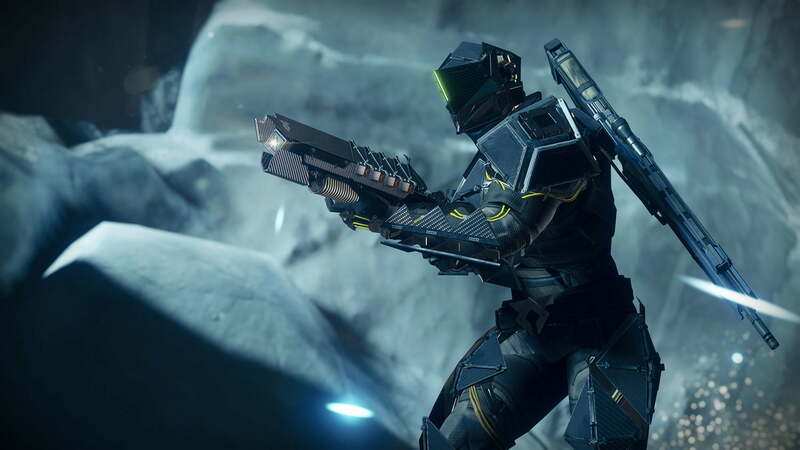 Warmind gives you a solid reason to jump back into Destiny 2 for a bit, but most of us will probably put the game down again before too long. Destiny 2 is still a solid shooter, and fans who have been hanging around this long will find Warmind an improvement over the last expansion. There is no shortage of multiplayer shooters out there — ranging from Overwatch to PlayerUnknown’s Battlegrounds and Fortnite to Call of Duty. For the casual shooter/MMO experience, though, Destiny 2 is still really the only game in town. 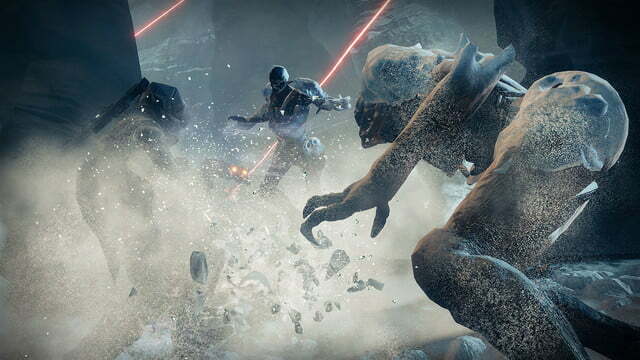 The story campaign for “Warmind” will run players about three hours, making it easy to tackle in an afternoon, but seeking out the expansion’s secrets and grinding up to play its Raid Lair portion will keep you playing at least 10-20 hours over a few of the game’s weekly resets. For Destiny 2 fans, Warmind is a good addition to an enjoyable game that doesn’t break the mold, but makes some incremental improvements that make it a worthwhile purchase. For everyone else, there’s little in the expansion that’s going to excite or hold attention if Destiny 2 wasn’t already doing that, making it an easy skip.